Do you have any Fears about giving birth? Are you Worried about how you will manage in Labour? Does your Birth Partner feel out of their depth? 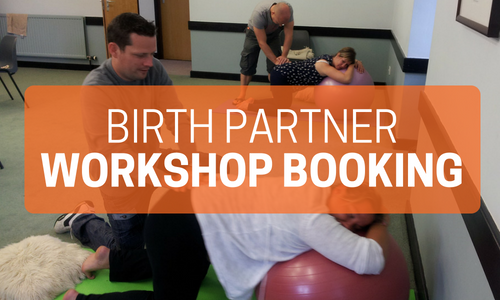 Then this half day Birth Preparation workshop is for you……. Discover in detail the mechanics of Labour, how it progresses from Stage to Stage. What will happen. Recognise how you will know when Labour has started. Learn why Relaxation is important and take home some simple techniques to use before and during Labour. Understand why Movement and Breath are fundamental to an easier birth. Practice and learn Movements, Postures and Birthing Breaths to make your labour easier and quicker. Learn supportive Birth Partner massage techniques to reduce pain. Discuss any concerns and worries in a friendly, informative environment. The course includes a fully comprehensive PDF Booklet with all the techniques and information included.